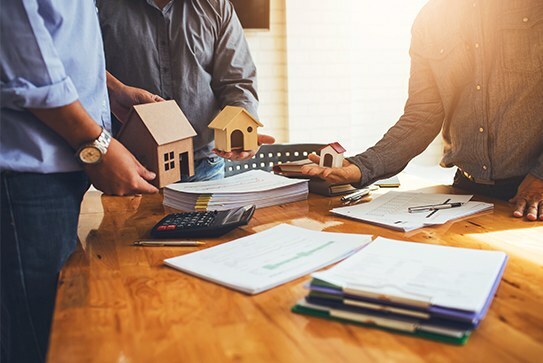 When purchasing property that is under the jurisdiction of a homeowners’ association (HOA), buyers should be aware of the following five things. The covenants, conditions and restrictions (CC&Rs) is one of the most important disclosure documents for a buyer. CC&Rs contain the rules that govern the HOA and restrict its owners. These restrictions include matters of architecture, paint color, decor, and other conditions of the interior and exterior of the property as well as the common areas of the development. In many ways, these rules are tantamount to another set of regulations aside from those of the city or county. If potential buyers plan to undertake remodeling or improvement on a property with a HOA, the CC&Rs are critical to understand beforehand. HOA’s can fine buyers for violations of CC&Rs and in certain cases can put liens against the property and take it from the owner. A buyer should know the HOA fees they will be required to pay and how much and how often the HOA fees may be increased. They should also inquire as to how much reserve the HOA has at the time of purchase. The buyer should find out if the HOA has sufficient income in the reserve to cover unexpected damages or events not covered by insurance. Further, the method of the HOA in collecting and managing funds in the reserve is important. HOAs should properly maintain financial documents that include budgets, association reserves, outstanding loans and insurance policies. Insurance is particularly important if the property is in an area that is prone to natural disasters like floods, earthquakes or hurricanes. Buyers should review the catastrophic insurance policies of the HOA before purchasing. HOAs that are well managed will have regular board meetings. The meeting minutes should include the discussions of the board. The minutes can reveal potential risks, past or current policy conflicts, owner complaints, potential special assessments and proposed changes to the CC&Rs. Some for-sale properties might have existing CC&R violations. Potential purchasers need to be aware of who is responsible for bringing the property in compliance. Further, some HOAs might be party to lawsuits with third parties or might be poorly managed. It is always worthwhile to investigate these matters prior to purchase. Some more helpful information can be learned by reviewing Civil Code Sections 1365-1368. Why work with an area Real Estate Expert? Previous post: Do you have a Will and/or Living Trust?